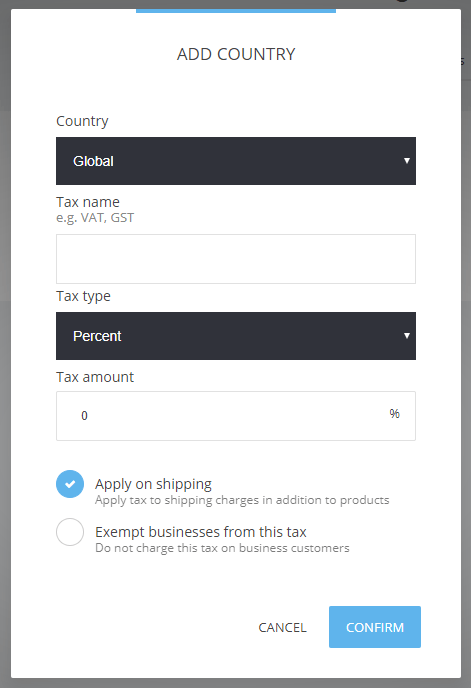 To add a Country Tax click on 'Add Country'. Pick a Country to add a tax for and then add a name for the Tax you are going to charge them (VAT, GST, Federal, Sales, Eco etc.). It can be a percentage Tax or Flat. 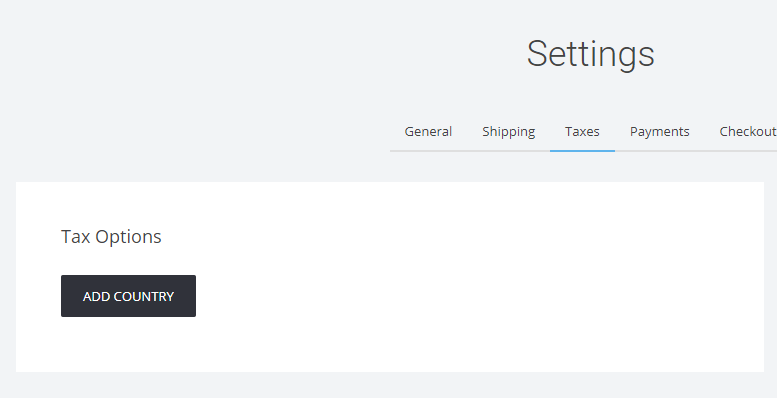 Apply on shipping - if you have that featured ticked, the shipping will also be included before the tax is applied. Exempt businesses from this tax - if a customer enters business information they will not be charged any taxes. 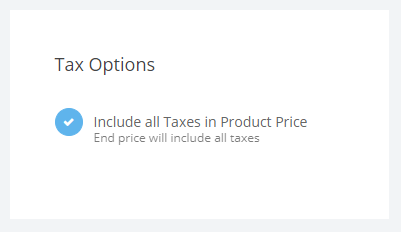 If you wish to include the tax as part of the final price entered for each product than you should leave this setting ticked on. Example: Your product costs $100 and the tax is included in these $100 you should leave it as it is.